Zoffany has an embarrassment of riches among his sensational first-crop two-year-olds and another Group winner was added to that list when Foundation (2c Zoffany-Roystonea, by Polish Precedent) captured the G2 Royal Lodge Stakes at Newmarket on Saturday. Trained by John Gosden for Highclere Thoroughbred Racing, the exciting colt was steered to win by three-quarters of a length under Frankie Dettori. His next start is likely to come in the G1 Racing Post Trophy. "He's a nice horse, he didn't learn anything in his first two races, but today it was a proper race,” Dettori told PA Sport. "He had to go through a gap and hit the front plenty early enough and thought he'd done enough, it was a good learning curve for him. "He's got a bright future, I think the next step will be the Racing Post Trophy and he'll be a lovely three-year-old. He'll definitely get a mile and a mile and a quarter and after that you're in the lap of the gods." 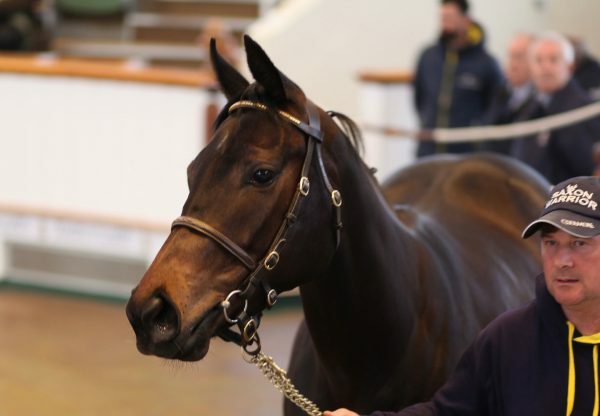 The Zoffany colt, bred by Eyrefield Lodge Stud, won a maiden and Listed contest at Haydock on his previous outings and Gosden commented: "He's a grand horse. He's done nothing wrong, he's still learning. Frankie said he gave him as much education as he could today because he didn't learn a lot at Haydock a couple of times. "He's come between horses, picked up well and handled the dip well which is not easy for a big, gangly two-year-old. It was a proper race and we're absolutely thrilled with him, we'll see how he is in the next 10 days and probably have one more run, back up at Doncaster in the Racing Post Trophy. "The going is on the fast side of good here now. He's handled that well and he can handle soft, so no problem.” Zoffany’s fantastic first crop also includes G2 Norfolk Stakes winner Waterloo Bridge, G2 Duchess of Cambridge Stakes and G3 Albany Stakes heroine Illuminate, G1 Phoenix Stakes runner-up and Windsor Castle Stakes winner Washington DC and Listed Rochestown Stakes victor Argentero.